Elaine Hancock (Olney, United States) on 18 June 2018 in Animal & Insect. 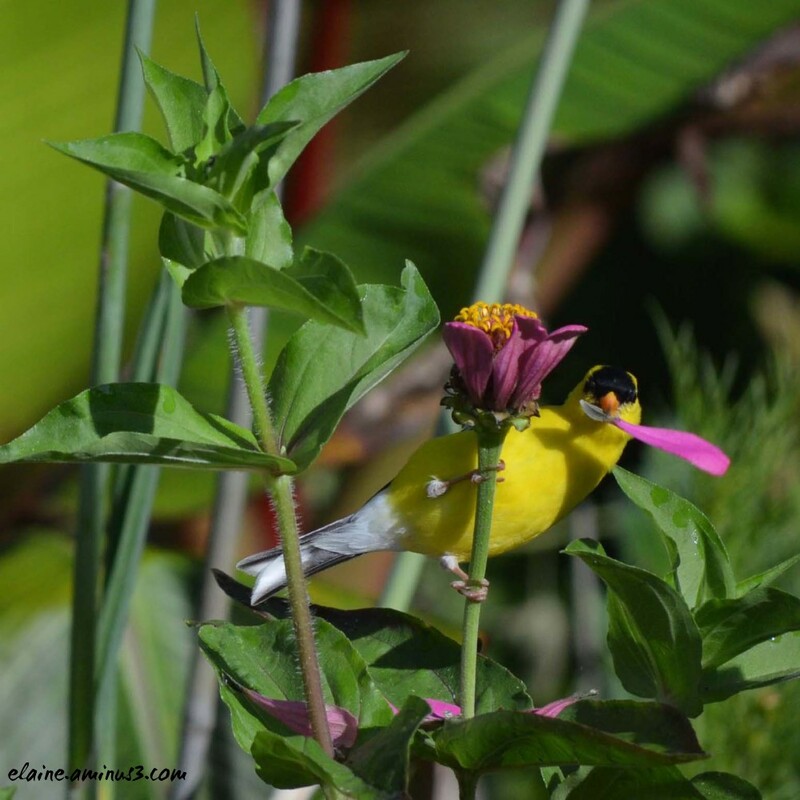 A goldfinch pulling petals off of a flower to find the seeds. Taken at Brookside Gardens. Joli petit oiseau qui aime les fleurs. Amazing image with an interesting writeup. Un magnifique oiseau de belles couleurs. A sweet little vandal ! wow a brilliant moment !! A wonderfui.l capture Elaine !! Bravo !!!! Très belle photo et très bel oiseau Elaine. Lovely image and nice title ! Bravo !! Wow...What a superb capture !! ...and great title ...! 5 stars from me - gorgeous light and color and what a whimsical pose! I like the way the goldfinch has gripped the stem to get the petal. A fine actiion picture. A cheeky fellow and a smart one, too. A wonderful capture. this is too precious ! You caught this finch red-handed!! Perfect timing to capture this with beautiful colors and textures!! Well I love the shot. That is wonderful. This is just gorgeous and wonderful and a spotlight for me.